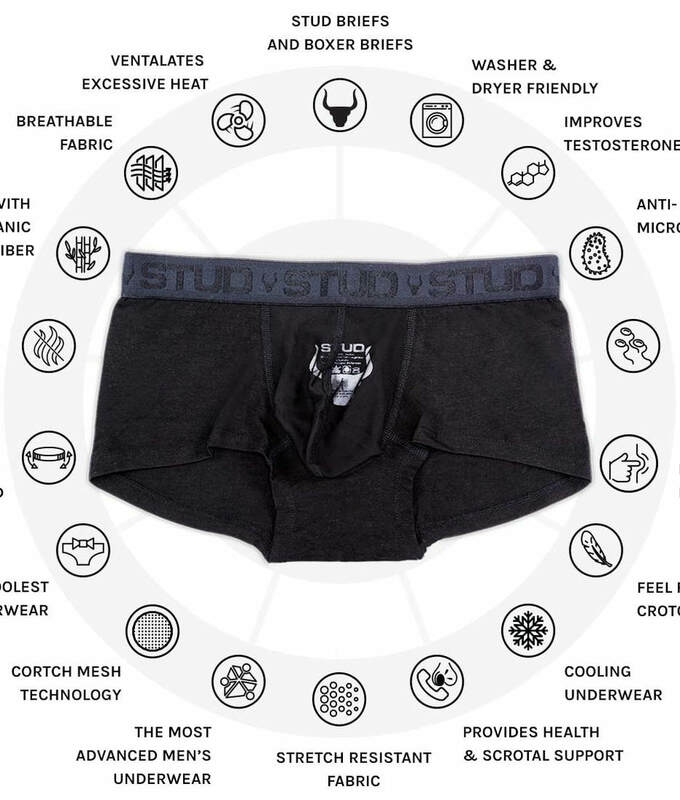 ​Now consider that normal boxers and briefs increase median daytime scrotal temperature by about 1.4 °C (2.5 °F)! It is no wonder that the sperm counts of Western men have been plummeting year after, and have declined by more than 60% since 1973! Important: Studies show that sperm counts are 30 per cent lower for heavy users of cell phones. Wireless and cellphone radiation exposure is also linked to sperm DNA damage and erectile dysfunction! That is why we Stud Briefs will use a silver ion shielding fabric to protect against cellphone radiation. Using speaker mode or a hands-free device allows the phone to be held away from the head and body. Cell phones adjust their power to use the minimum amount for a good signal. Being farther away from the tower requires more energy to get a good signal, as does being inside a building. The amount of cell phone traffic in the area at the time. Higher traffic may require more energy to get a good signal. The model of phone being used. Different phones give off different amounts of energy.